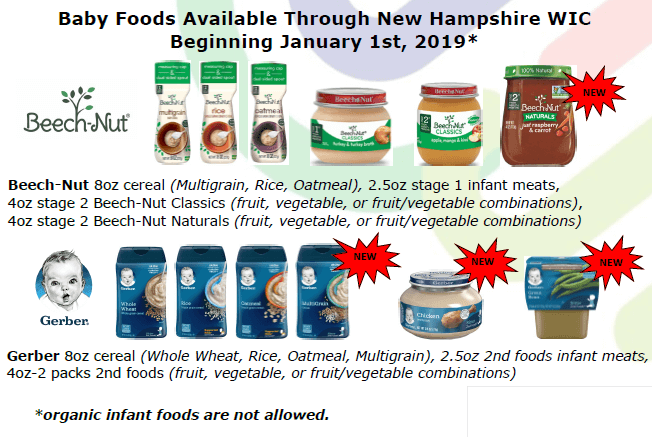 New Hampshire WIC Food Guide English | JPMA, Inc. Treat WIC vouchers like cash — They may not be replaced if lost or stolen. Valid Photo ID You must have a valid photo ID to cash your WIC vouchers. Payees/Proxies Only the people listed under the signature line on the voucher, or a valid proxy, may use WIC vouchers. If a proxy is shopping for you, they must have both a valid proxy card and a valid photo ID to casht the voucher. 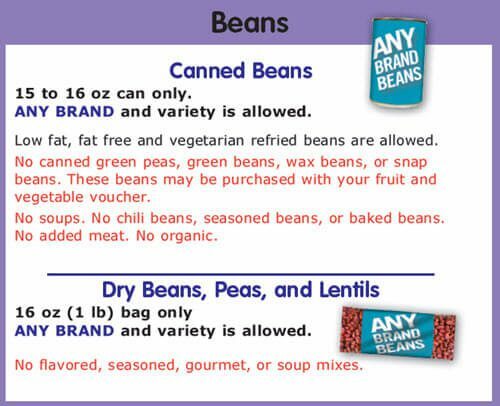 At the register Separate your WIC foods from the other items at the checkout counter. Separate your WIC foods by each voucher, including the fruit and vegetable voucher. 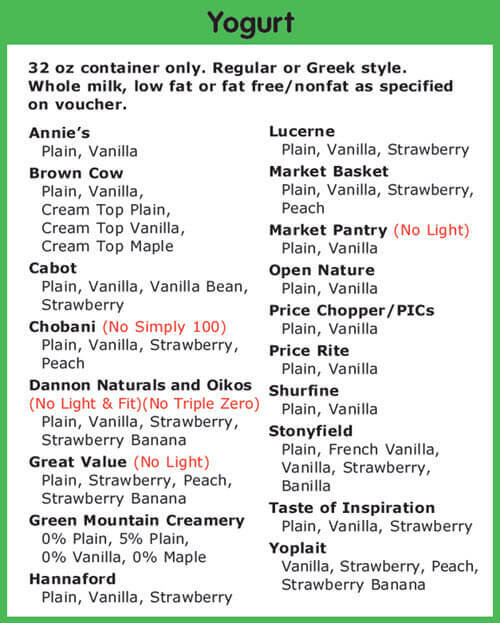 You do not need to buy all of the foods on the voucher. 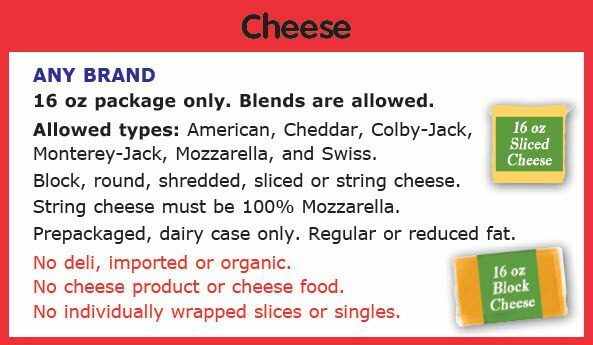 sign on the signature line located on the bottom of the WIC voucher. If an error is made when writing in the amount or date draw one line through. Write in the correction above the error and sign with your initials. Smart shopping: You are encouraged to buy store brand or least expensive brands when possible. You may use store and manufacturer promotions with your WIC vouchers. store savings cards or customer reward cards; and manufacturer cents-off coupons. You and your proxy must be respectful and courteous to store. staff. Store staff must be respectful and courteous to you and your proxy. Selling, retuning, or refunding WIC foods is not allowed. You may not receive cash refunds, gift cards, change, rain checks, or IOUs in exchange for WIc vouchers, foods or formula. 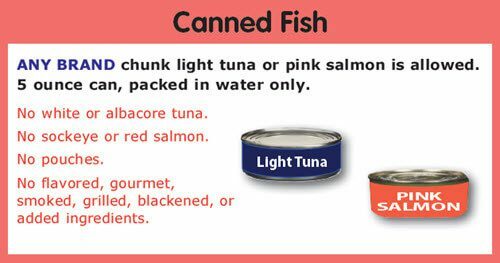 Only defective, spoiled or outdated foods/formula may be exchanged for the same product at the store. 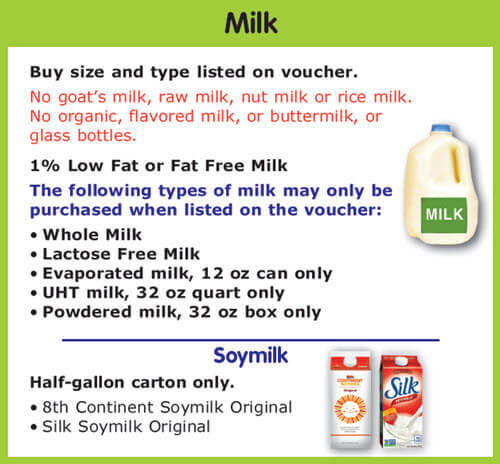 Infant formula bought with WIC vouchers may not be exchanged for another brand of type of formula. 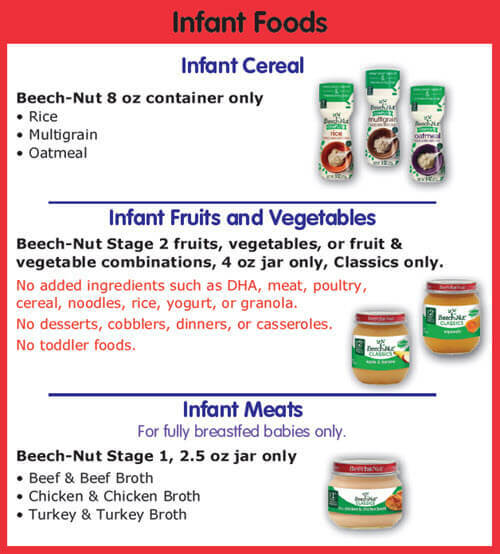 Any formula changes must be done by your local WIC office. You and your child may be taken off the Wic program for selling WIC foods or trying to get a cash refund for WIC foods.